This is precisely why this challenge of the system by a female coach feels so much like an anomaly to those in the non-coaching world when these cases surface in the headlines. This is the proven gasoline that inevitably adds fuel to the online fires that relentlessly swirl around women in this position. Die-hard athletic sycophants will repeatedly predict how a lawsuit will infringe on the resources for the rest of the department. They will call the coach “greedy” and repeatedly ask why she doesn’t just “go away”. This typically leads to merciless scrutiny of the female coach on everything from her looks, dress code, character and sexual preference. Comments and tweets will litter social media. Keep in mind institutions bank on this to work in their favor in the arena of swaying public and donor opinions. Universities are well aware that a coach’s reputation in this profession is one of the most precious and delicate commodities that in these cases, are ultimately our achilles heel. This is fragile and can chip away at your sanity long before you sit on any witness stand. The pattern is now like clockwork in athletic departments and universities around the country in cases of discrimination, retaliation, sexual harassment and Title IX claims. 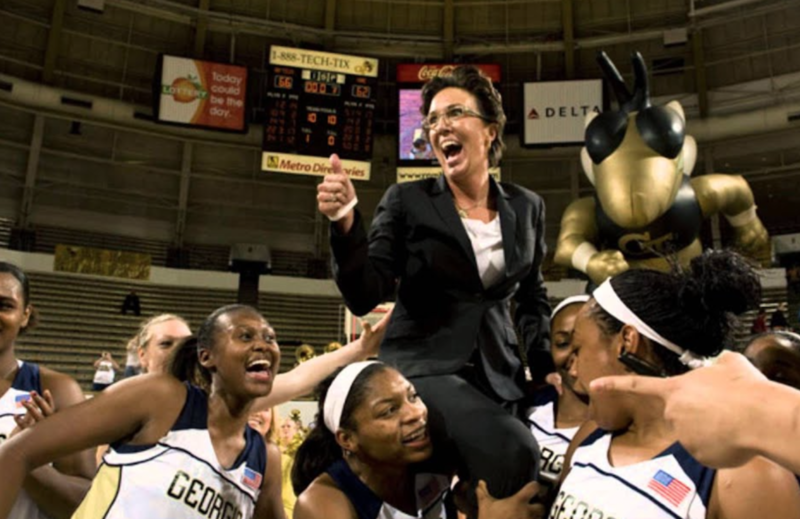 If you are going to follow this case or any others like it, you need to start here by accepting this: What is happening right now at Georgia Tech happens every day at all levels in all sports with women leaders. Most of the women, simply do not talk about it. What is happening right now at Georgia Tech happens every day at all levels in all sports with women leaders. Most of the women simply do not talk about it. The only difference in this case is that Coach Joseph is choosing to fight just as women such as Shannon Miller, Tracey Greisbaum, Beth Burns, Robin Sparks and Stacey Johnson-Kleindid. If you do not know the names of these women, perhaps google them to learn more about why fighting the system is so rare. Their journeys all have similar components, patterns and outcomes yet, most journalists aren’t familiar with this underground world and the glaring commonality of these cases in treatment. These women were all branded during their legal fights as outliers or one-off complainers looking to beat the system even after juries sided with them and settlements were paid in their favor. Out of the list above, two have returned to college athletics because despite their universities losing millions, with the exception of Beth Burns who is an assistant strength coach for Louisville Women’s Basketball, and Tracey Griesbaum who is a volunteer assistant coach at Duke, the institutions all succeeded in their goal of not only removing these women, but blackballing them in NCAA athletics completely. Let’s put it this way, Coach Joseph was put on leave without explanation because it is highly likely Georgia Tech did not have a solid one at the time. Speculation is more than enough when it comes to women coaches and as two players transferred, rumors began to surface. This is the stage where Georgia Tech is now hunkering down and pinpointing exactly what angle they will take to explain their choice to suspend their women’s basketball coach. They need something juicy, something socially relevant and something damning. Institutions do not need much more than this to squash any potential whistleblower. This gives the university the lion’s share of the advantage and the majority of the time they end up having to answer to no one. Universities typically have some measure of local media on their side and will usually be first dog to the bowl in getting their side of the story out while the female coach taking the system on must watch and wait if she can afford legal. The institution digs for ammunition to add to its arsenal while the other party must remain silent. During this crucial time is when most women either exhaust their finances to pursue justice or fear for their reputation to the extent they tap out of the fight. Again, I am not a reporter for Coach Joseph or Georgia Tech. I am simply the messenger of the stories of women in our profession who have gone through this and not come out employed on the other side. These women are an invisible statistic. Again, I am not a reporter for Coach Joseph or Georgia Tech. I am simply the messenger of the stories of women in our profession who have gone through this and not come out employed on the other side. These women are an invisible statistic. Those of you on the outside who have never known the world of coaching or what it is like to be a woman coaching women in today’s world, I am here to tell you that the amount of deceit and collaboration that takes place in athletic departments and universities in order to protect those at the top is actually the biggest reason you have had so little knowledge that this is even happening. In this case of a female coach who is claiming retaliation for Title IX claims, Georgia Tech and many universities just like them, are the machine. What you also do not realize is that the machine will work overtime to make it so we never know what actually happened. Their claims can become more intense, more detailed and more shaming the more they fear losing the battle. The most egregious of Title IX claims could be made and proven. Documentation including emails, texts, could be abundant to strengthen the female coach’s claim but universities and their multi-million dollar law firms are experts at this. The hot button item right now in athletics is abusive coaches and standards of athlete treatment. Regardless of what Coach Joseph’s story might be, Georgia Tech controls its own timeline and it knows the game well. Three weeks post Georgia Tech’s announcement of Joseph’s suspension, we are at the precise stage where, through university lawyers and staff, the public will gain small doses of testimonies of former parents, players and even staffers. Anyone who may have been even remotely displeased with the coach during her career will be given a bull horn. This is a crucial step in the process of ending a female coach’s career. If you are someone who has worked in education as a teacher or a coach you know all too well that no matter how successful you are and what your feedback looks like each year, you can always find at least one or two unsatisfied customers. This is unavoidable and in this scenario in college athletics, once universities identify members of this group, no matter what a female coach’s law team holds on to as their ace in the hole for truth and protection, the university system knows the achilles heel is the student-athletes, parents and their experience. I am writing to illuminate you to nothing more than the process of how this operation goes down and want athletic departments and institutions to realize that we are watching. My biggest critics of The Fearless Coach often ask: If there are so many women coaches who have experienced this, why do they not come forward? If you have been any paying attention to the process and what I have shared with you, it should be no secret why. Until the time when we all step out into the light willingly and together, I will be waiting to stand with you and tell the story. Be Fearless. 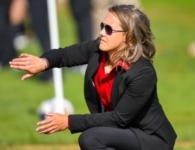 Bio: Becky Carlson – Being in NCAA college coaching for more than a decade, I am passionate about being a leader in not only Women’s NCAA Rugby, but am concerned about the health and welfare of our coaching population. As a public speaker, equality advocate and coach, I have grown tired of the abundance of resources for sport specific technical skill building and sitting at endless seminars only to be left with no solutions on how to survive in this profession with this generation. Our athletes are losing their ability to communicate with each other and therefore, with us. I am interested in connecting and assisting other coaches who are challenged daily through this profession with today’s generation. Athletics remains a staple in a long line of vehicles used to create social change. I am a firm believer that if we have truthful conversations with the next generation, both male and female about equity and treatment, we can solve unfair hiring and ethical practices in athletics. Ultimately this will lead us to a healthier society with both women and men having equal representation in law making, policy development and in the workforce. If you are having trouble as a coach finding your voice and asking for more, please connect with me. We can all learn from one another.